It is officially starting to feel like summer around here. Ever since I was little one of my favorite movies to watch during the summer time was the Parent Trap. I have a special place in my heart for both the original and the 1998 version. Growing up the 1998 version was much more popular with my friends. 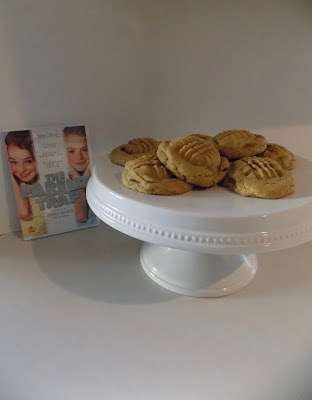 We all had to try eating Oreo's with Peanut Butter after watching the movie. 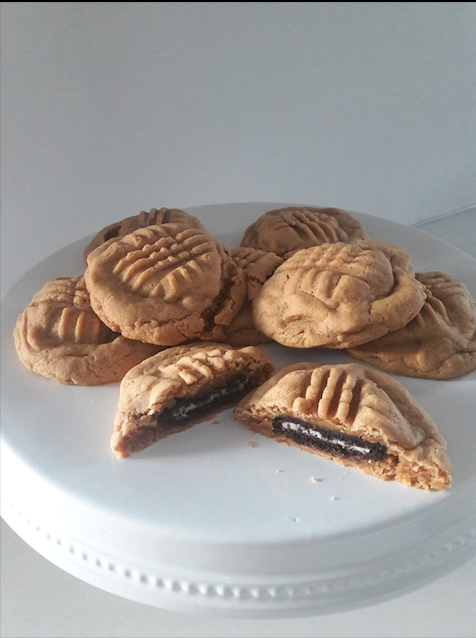 I thought it would be fun to make a twist on the popular Oreo stuffed chocolate chip cookies and try out Oreo stuffed peanut butter cookies a la the Parent Trap. Mix butter, peanut butter, sugar, and brown sugar until well combined. In a separate bowl mix together baking soda, salt and flour. Use a one inch cookie scoop and create two balls with the peanut butter dough. Place an Oreo between the two cookie dough balls and mold dough around the Oreo. Seal edges and make sure the Oreo is completely enclosed. They are best right out of the oven when the Oreo is nice and soft. I have to admit that I have not tried Oreo stuffed chocolate chip cookies but based on our experience with these cookies I can't wait. I would definitely recommend making these while listening to the Parent Trap soundtrack(It's so good!) or watching the movie. What are summer of your favorite summer movies?